PassFolk SaverWin(Free) 3.7.5 無料ダウンロード - 3 Steps to Reset Windows Password, Easy and Safe. It will be a very frustrating thing if you forget the login password of your computer, today, PassFolk Saverwin tool will end such tragedy. 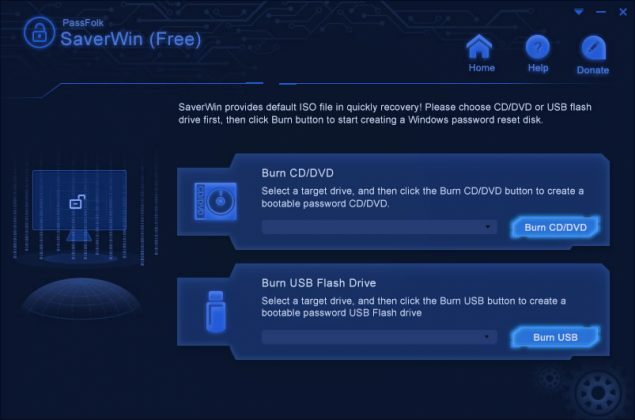 The password recovery for Windows tool can be the right key, which can remove lost/forgotten local administrator and users' password for Windows 10, 8, 7, Vista, XP, and Windows Server 2000/2003/2008/2012 quickly and conveniently. Only 3 Steps, you can regain your password.